Let’s talk about the state of pet nutrition today and helping your pet live better through the food they eat. Veterinarians get asked this every day, multiple times a day. The answer? Veterinarians are taught in school about prescription diets and how to address illnesses with diets but aren’t receiving in-depth education about specific diets to keep a healthy pet healthy. Veterinarians are also trained in multiple species with varying diets for each species. That being said, it is extremely difficult to keep up with all medical and dietary needs for all species. This is why specialization is becoming more and more common in veterinary medicine. Specialists are the way we can be sure your pet will receive the best care possible! AAFCO labels on pet food tells us that these foods have undergone food trials and been deemed nutritionally complete. Veterinarians have trusted this claim for years. Recently, we have started researching alternative diets to the dry and canned commercial diets. In doing this, we realized that the AAFCO food study trials are, in our opinion, very limited. The trial for adult dog and cat foods involve a minimum of 8 animals, of which, 25% can be removed if necessary and spans over the course of 6 months. This is too low a number of animals and again, in our opinion, not a long enough time to determine this will be a sufficient diet for an adult pet for its entire lifetime. So what is the problem with commercial diets? The problem is the amount of carbohydrates and high-heat processing. Dogs can process carbohydrates fine. The carbohydrates become an issue because of the quantity of carbohydrates in the dry foods. The lowest we have found is around 25% but many commercial dog foods have close to 50% carbs present! Cats really have no nutritional need for carbohydrates. Consider the fact that most cat foods have the same percentage of carbohydrates in them as dog food and it explains a lot why we have so many cats that are overweight. The high heat that is needed for processing dry and canned foods does cause degradation of many nutrients and can cause fats to change causing possible health issues. Now, don’t get me wrong, the pet food companies aren’t adding the carbs and processing with high heat to intentionally harm our pets. These are needed to keep the pieces of kibble together and process the dry as well as canned foods. Our best analogy for commercial pet foods is it is fast food. What about switching to a grain-free diet? Some studies have shown that some of the grain-free diets are actually higher in carbohydrates than the regular diets we feed. You can determine (in general) how many carbohydrates your pet’s diet has by adding crude protein, crude fat, crude fiber and moisture. What is the carbohydrate need for dogs and cats? Both dogs, cats and humans can survive without carbohydrates. If we look at an ancestral diet of a dog (what wolves would eat) then we see that carbs make up about at the most 14% of the entire diet. This amount will vary depending on the time of year because of food sources available. 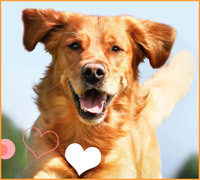 Please visit this Dog Food Advisor article for more information. Why are high amounts of carbohydrates a problem? In the body, carbohydrates are converted into starch (this is why grain-free diets are not always better) and then converted into sugar (i.e. glucose) which is a quick source of energy for the body. However, too much sugar will lead to disease in the body such as Diabetes Mellitus. It is probable that other diseases can occur because too much sugar in the body leads to inflammation. Chronic inflammation leads to damage of the mitochondria (which is the powerhouse of all cells!). Damaged mitochondria can lead to disease anywhere: skin, heart, adrenal glands, cancers, seizures, etc. But my dog does fine on the commercial diets! Yes, we know that many dogs do great on the commercial diets. 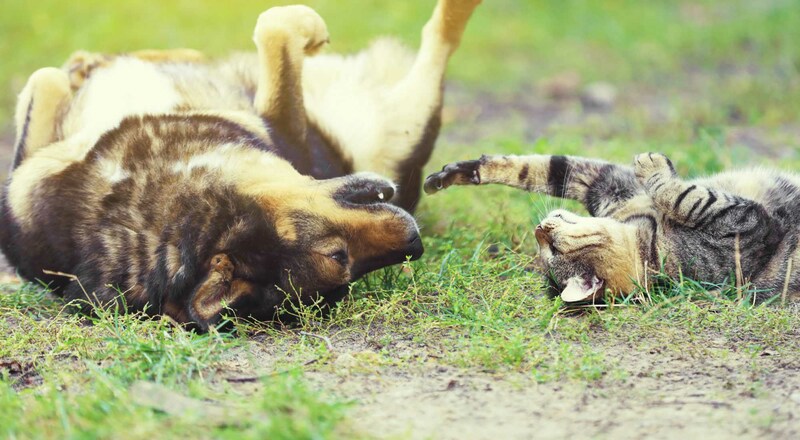 There are many factors that play into disease, and these factors can vary from dog to dog (cat to cat). Let’s look at epigenetics. Epigenetics is the study of changes in organisms caused by modification of gene expression rather than alteration of the genetic code itself. These changes come from many sources such as stress/anxiety, obesity, viruses, toxins/pollutants, genetics, and diet. Many of these things we don’t have a choice about but with diet, we do. The question is how many ‘hits’ our genes take before they begin to express changes that lead to illness. We don’t know and it will vary from individual to individual. Some pets are more resilient than others and can take more ‘hits’. Please visit the following website for a more involved explanation of epigenetics: What is Epigenetics? The good news is nutrigenomics, which is the study of the interaction of nutrition and genes, has shown that nutrition does play an important role in the prevention or treatment of disease. A disease gene can be turned on but it can be turned off too. We believe at this time that nutrition plays a vital role in what genes are turned on. If disease genes are turned on and a pet is on a suboptimal diet, then by changing the diet we could potentially get the genes to turn off. For more information on nutrigenomics visit: New Life Genetics. With all this information, how do I help my pet through their diet? Keep in mind that food is a vehicle to get NUTRIENTS to the body. You have to make the decision for your pet in how you want them to get those nutrients. There are MANY options for how to feed your pet. The following are diets that the doctors at BloomingPaws feel are appropriate at this time and with our current knowledge. Commercial diets – these are more economical for many and easy to feed, remember that processing most likely removes some nutrients and there are way more carbohydrates in them than is necessary for our pets! Probably not the best on their own. Commercial diets with whole foods – this decreases the amount of commercial diets fed when whole foods are added. Our definition of whole foods is quality meats (chicken, beef, and fish) with no seasoning and lightly cooked along with ANY vegetables (no onions) either raw or cooked. Commercial diets with formulated raw food – this decreases the amount of commercial diets fed and add in formulated raw food. See our article about raw diets. Formulated raw diets only – these can a bit more expensive. If you would like more info on how to formulate a diet, please contact Patricia da Rosa, our onsite nutritionist. Patricía works closely with BloomingPaws veterinarians to help with weight-loss, analyzing proportions for mixing whole foods/formulated raw foods with commercial diets, and to help with nutrition with diseases/illnesses.